Dr. Caren Rose is a Senior Scientist at the British Columbia Centre for Disease Control with a focus in Epidemiology and Biostatistics. 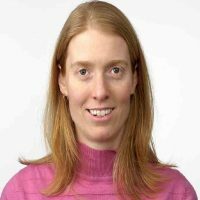 She completed a Bachelor’s degree in Mathematics and Life Sciences at UBC, a Master of Science in Statistics at Dalhousie University, and a PhD in Health Services and Epidemiology at UBC’s School of Population and Public Health. Her doctoral program of research focused on contemporary challenges in deceased donor kidney allocation. Past research focus in clinical epidemiology. Dr. Rose’s research interests focus on chronic and communicable diseases and their impact on health services and policy.